Tennessee Gov. Bill Lee today voiced support for a measure that would bar state or local governments from taking "discriminatory action" against companies based upon what businesses pay their workers or their policies on sexual orientation. "It's always important that we make sure that we allow businesses to operate freely and to operate in a way that protects rights and liberties of people but also protects their ability to operate in ways they choose to," Lee said today during a Chattanooga visit. The state House Thursday voted 68-22 to aprove a measure sponsored by Rep. Jason Zachary that bars cities and counties from favoring businesses based upon their internal policies, such as health insurance, family leave or minimum wage. Zachary called it a "pro-active, business potection bill." But critics contend the measure is similar to proposals in the past and could unfairly limit local governments from favoring higher paying businesses or those that have anti-discrimination policies for LGBTQ individuals beyond state law. Cities in other states have used their contracting rules to require bidders to pay fair wages or not to discriminate based upon sexual preference. 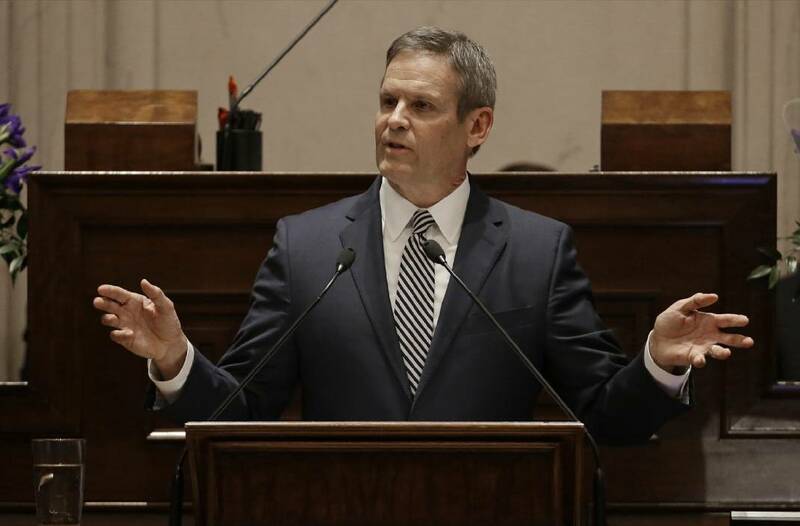 Lee said he would oppose government measures or policies in Tennessee that try to favor one business over another based upon their pay rates or employee policies. "We need to allow companies to set their own rates of pay and to operate their businesses in the way that they want to operate them," Lee said. "That's the free market and the free market is the foundation upon which the country was built and we need to make it the foundation of Tennessee." State Rep. Yusuff Hakeem, D-Chattanooga, opposed the measure in the House over his concerns about what it may mean to the LGBTQ community and efforts to limit discrimination based upon sexual preference. "I think we've seen around the country where a business can sort of take things upon themselves and create some problems," Hakeem said. But Lee said existing state laws offer adequate protections. "It's important that we have equal protection under the law in this state and I believe that we have that, he said.